Do you have a great idea that would benefit Middlebury students, the environment, and/or the community? 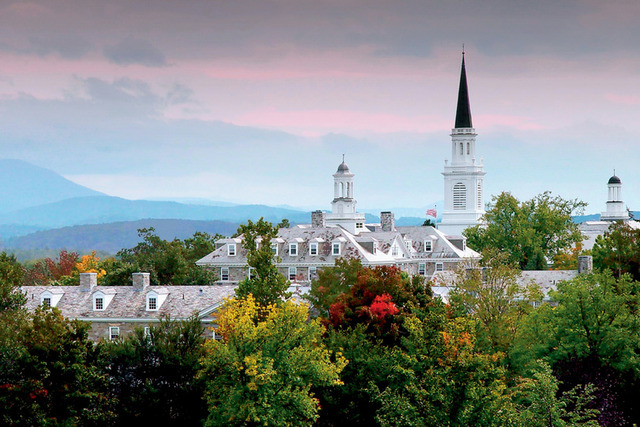 Apply to the Middlebury College David S. Stone ‘74 Tree House Fund! · Up to $2000 total is available this year to fund one or several creative student projects that benefit Middlebury students, the environment, or the community. · These awards are intended to support student-initiated projects that would not have otherwise been funded through other sources. Projects may not add additional unanticipated cost to the operating budget. · All Middlebury undergraduates are eligible to apply as individuals or in collaboration with other Middlebury students. · Middlebury organizations, clubs, teams or groups already recognized by the College and receiving College funding may not apply. · Tentative proposal implementation timeline based on approval by the end of February. Application materials are due at 136 McCullough Hall (the office suite across from the ATM machine) to Administrative Associate Diane Foley by 5:00 p.m. on Wednesday, February 16 . Funding recipient(s) will be notified shortly thereafter. All projects must be fully implemented by Commencement in May 2011. ‘09.5 Grad has a Job Opportunity for You! I graduated this past February and got a job as a Seasonal Research Technician with the Rodale institute in PA. Rodale is a great fit for anyone interested in organics, climate change, research, etc. Rodale Institute is a 501©(3) nonprofit dedicated to pioneering organic farming through research and outreach. The Rodae Institute was founded in 1947 by organic pioneer J.I. Rodale to study the link between healthy soil, healthy food and healthy people. For over sixty years, we’ve been researching the best practices of organic agriculture and sharing our findings with farmers and scientists throughout the world, advocating for policies that support farmers, and educating consumers about how going organic is the healthiest options for people and the planet. If you have an interest in social work, housing advocacy or non-profit management, take note! The deadline for the J-Term Charter House Emergency Shelter Internship has been extended to October 16, 2009! Check out their various internship opportunities regularly, here. For those of you who are Seniors, VBSR has over 650 members here in the state of Vermont, so if you are interested in being gainfully employed after graduation without leaving this beloved state, check out their member job listing here. Justmeans is searching for a Conference and Events Business Development Associate to develop and implement a comprehensive marketing and sales plan and worldwide distribution strategy for one of our core technology products – The Event Connector.